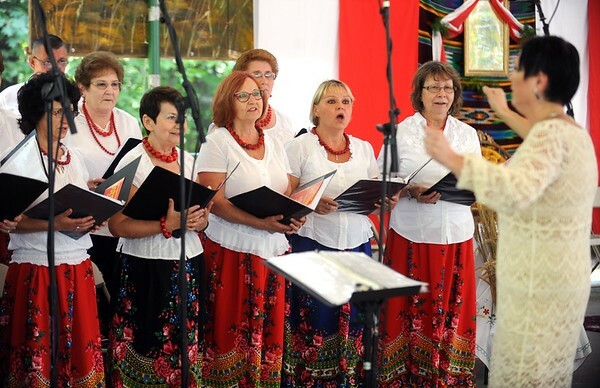 Showcasing customs of the Polish harvest festival, the Dozynki Festival is a celebration of Polish culture. It helps support many local charities. Dozynki is a Slavic harvest that is usually celebrated on one of the Sundays following the end of the harvest season, which fall on different days in different regions of Europe. The purpose of the annual dozynki feast has been centered around the harvest of the prior year. The idea is to give thanks for all of the crops gathered by farmers. 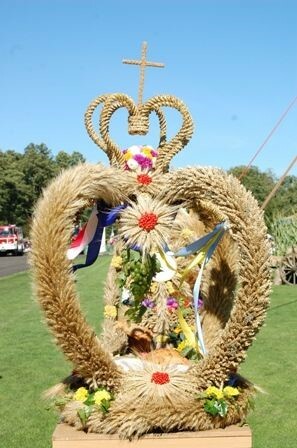 The wreath is a central feature of most celebrations associated with dozynki, as it symbolizes a rich harvest, the prospect of wealth and the power of new life vested in the grain gathered during the summer. The festival is also celebrated in a religious setting with a procession followed by a Catholic mass where the blessing of the wreath and bread take place. After the traditional rituals and ceremonies, there are an array of folk-dance performances, live music, dancing, and great food for all to enjoy. Dozynki Festival is a celebration of Polish culture and here in New Britain we celebrate it the last weekend in August at the Polish Falcon Field. Mass is held at 11am where the altar is filled with the fruits of the harvest, including wheat and other crops, to signify giving thanks for nature’s gifts. 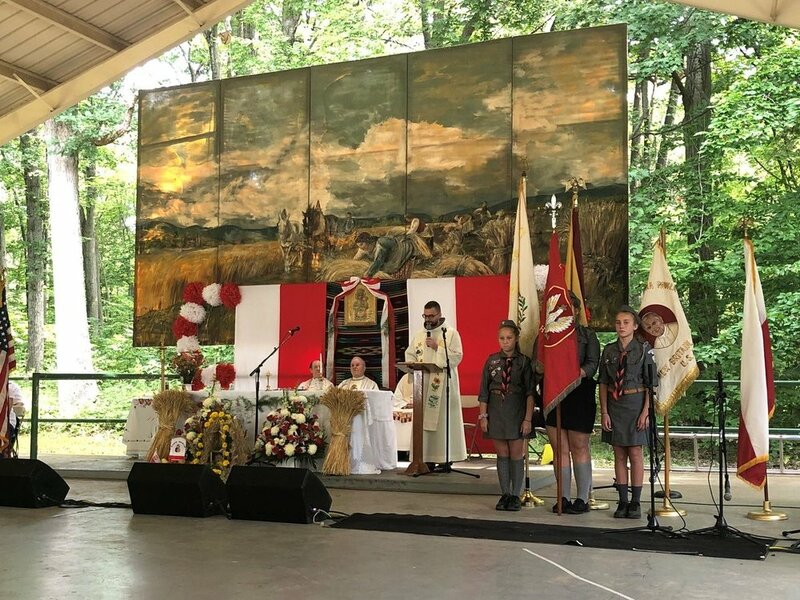 After the mass, the festival gets into full swing with traditional folk-dancing performances by the Polish Language School and the Polish Scouts singing. Throughout the weekend the festival is attended by many Polish-themes vendors, entertainment, and of course fresh Polish food.